Sublette County, hang your head and cry! Last week (Feb. 3-7 I don't remember the exact day now) on National TV's noon program "Closer Look", hosted by Faith Daniels. The subject was the increasing popularity of the 80's and 70's designer hallucinogen, LSD. The guests were a young man that had used LSD, a man whose son was killed because he used LSD, and a man who thought LSD use was O.K. 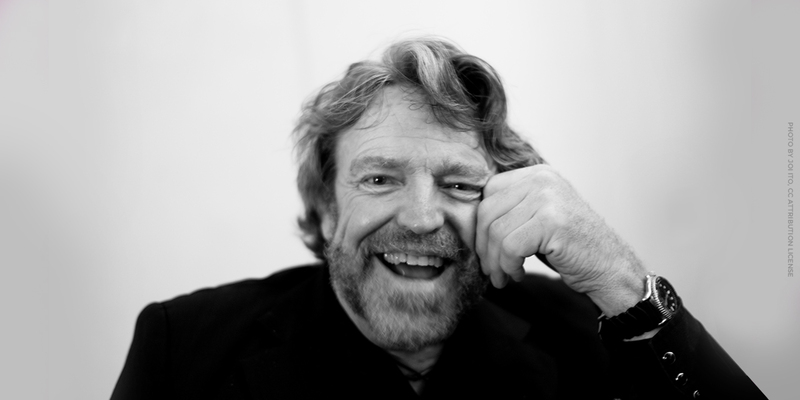 That man, Sublette County, was John Perry Barlow. He sat right there on National TV and said he supported the use of LSD, and the last time he used it himself was last November. What a fine representative of our wonderful piece of country and the people in it. Will LSD users be tempted to come to Sublette County, thinking this is a good place to practice their drug habits with the approval of the residents. And what about the young people (and the not so young, such as Mr. Barlow) in the county. Is this the example and role model for them to look to and build their values on? A native son and a LSD user. What about it Sublette County? Wipe the tears from your eyes so you can see clearly and find some good role models so the kids can choose strong, clean values. They are the future of our country and nation. Hold up for them something or someone with something more than what Mr. Barlow represents. When I agreed to appear on A Closer Look, I had a hunch that, sooner or later, there'd arise a call to protect yourselves such perils as me. It's encouraging, though not surprising, that my only denunciation came from outside Pinedale. Tolerance is one of the things I love about this place. For these and other reasons, I intend to go on living here, so I figure I owe you an explanation. NBC invited me on the show in my capacity as a lyricist for the Grateful Dead, an institution long associated with LSD. I was not there to defend (and certainly not to recommend) its use to anyone. That is a personal, even spiritual, matter. I accepted their offer, with grave misgivings, because I care about free speech. Over the last 25 years, I've watched a lot of Deadheads do acid. It is the sacrament of their community. I've taken it myself. I still do occasionally, in a ritual sort of way. On the basis of their experience and my own, I know that the public terror of LSD is based more on media-propagated superstition than familiarity with its effects on the real world. I know this, and, like most others who know it, I have kept quiet about it. But I've finally realized that if I continue, out of fear, to conceal what I believe in this or any other area of public interest, I participate in a growing threat to the minds of America's young greater than any which acid presents. I mean by that the establishment of permissible truth in America. In a word, totalitarianism. Shortly after the Bill of Rights was drafted, English Philosopher John Stuart Mill said, "Liberty resides in the rights of that person whose views you find most odious." I will go further and say that liberty resides in its exercise. It is preserved in the actual spouting of those odious views. It is maintained, and always has been, by brave and lonely cranks. Lately, it seems our necessary cranks have been falling silent, struck dumb by a general assault on liberty on America. This is no right wing plot from the top. Like most totalitarian impulses, it has arisen among the people themselves. Terrified of virtual bogeymen we know only from the Evening News, we have asked the government for shorter chains and smaller cages. And, market driven as ever, it has been obliging us. This is what is now taking place in our conduct of The War On Some Drugs. In this futile Jihad, Americans have largely suspended habeas corpus, have allowed government to permanently confiscate our goods without indictment or trial, have flat discarded the Fourth Amendment to the Constitution, and are voluntarily crippling the First, at least insofar as any expression might relate to drugs. In my gloomier moments, I wonder if the elimination of freedom in America is not what the War On Some Drugs was actually designed to accomplish. Certainly we haven't engaged this campaign because the psychoactive substances we so determined to eliminate are inherently more dangerous than those we keep in plentiful and legal supply. Indeed, the most dangerous, anti-social, and addictive drugs I've ever taken...the ones I'm afraid to touch in any quantity today...are all legal. Alcohol, nicotine, and prescription sedatives do more American damage every day than LSD has done since it was derived in 1942. Each year, alcohol kills hundreds of thousands of Americans, many of them violently. It is a factor in most murders and suicides in America. It is a rare case of domestic violence or abuse where alcohol plays no role, especially here in Sublette County, where domestic pathology and alcohol addiction are as common and united as jello and whipped cream. Yet I don't hear people calling for its prohibition, nor would I support such an effort. I know it won't work. It's not working for LSD either and it's even less likely to. Lysergic Acid Diethylamide-25 is active in doses so small you can't see them. It's colorless, odorless, and it doesn't show up in drug tests. And you have to be pretty high on acid before anyone's going to notice you being anything but extremely alert. Does this mean that I think LSD is safe or that I am recommending its use? Hardly. My accuser's allegations notwithstanding, I was careful to point out on A Closer Look that I consider LSD to be a serious medicine. Hey, this stuff can make some people see God. Now that's serious medicine. I tried to convey two points there. First, by diminishing the hazards inherent in our cultural drugs of choice and demonizing psychedelics, we head our children straight down the most dangerous path their youthful adventurism can take. Second, LSD is dangerous but not in the ways generally portrayed. By dressing it up in a Halloween costume of fictitious dangers, we encourage our kids to think we were also lying about its real ones. And LSD is dangerous. It is dangerous because it promotes the idea that reality is something to be manipulated rather than accepted. This notion can seriously cripple one's coping abilities, though I would still suggest that both alcohol and TV advertising carry it more persuasively than LSD. And of course, if you're lightly-sprung, it can leave you nuts. But LSD is not illegal because it endangers your sanity. Halcion has a clinically demonstrated ability to cause violent psychotic episodes, and it's so legal that President Bush uses it. LSD is illegal because it endangers Control. Worse, it makes authority seem funny. But laugh at authority in America and you will know risk. LSD is illegal primarily because it threatens the dominant American culture, the culture of Control. This is not a sound use of law. Just laws arise to support the ethics of a whole society and not as a means for one of its cultural factions to impose power on another. If you think this is a necessary exception, consider that there is a rapidly growing segment in this country who consider big game hunting to be murder. At present expansion rates, it is not so hard to imagine them a majority someday. So, before you dish out as law your own cultural prejudices, consider what you might one day get to eat according to that principle. There are probably 25 million Americans who have taken LSD, and who would, if hard pressed in private, also tell you that it profoundly changed their lives, and not necessarily for the worse. I will readily grant that some of these are hopeless crystal worshippers or psychedelic derelicts creeping around Oregon woods. But far more of them are successful members of society, CEO's, politicians, ministers, and community leaders. This is true. Whether we want it to be or not. But the fact that so few among these millions dare utter this truth is, in a supposedly free country, a symptom of collective mental illness. I neither expect nor ask any young person to regard me as a role model. There are easier routes through this world than the one I've taken. But I do like to think of myself as someone who defends his convictions. And I hope to raise three daughters who are brave enough to own their beliefs, no matter how unorthodox, and to own them in public, no matter how risky. I dream of a day when anyone's daughters will feel free to do that. The most I can do toward a world in which their liberty is assured is to exercise mine in this one.